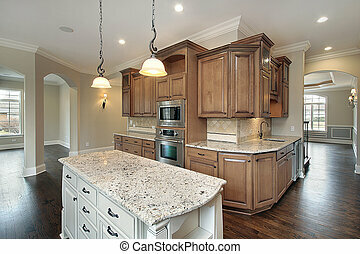 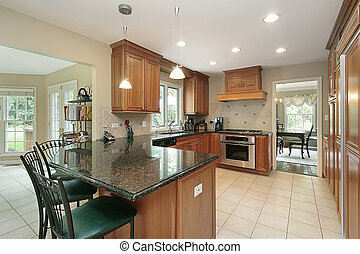 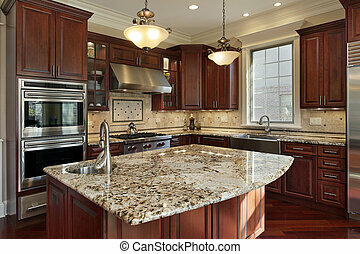 Kitchen with granite countertops. 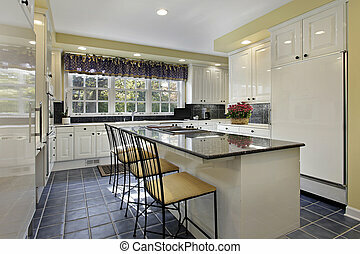 Kitchen in modern home with granite countertops. 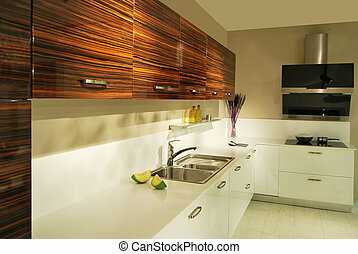 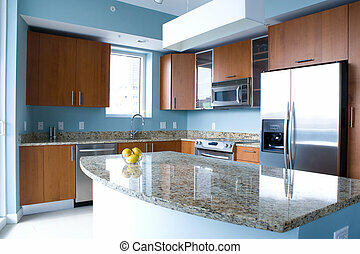 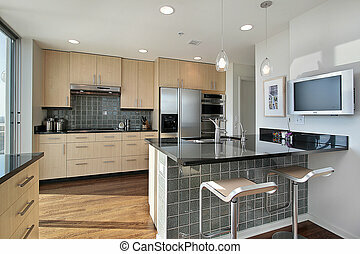 New modern kitchen interior with island in a condo apartment. 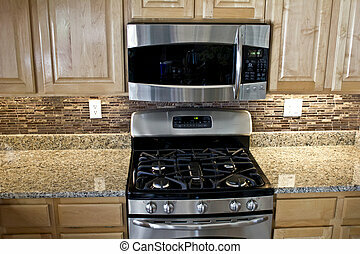 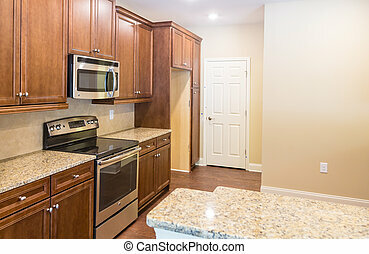 Brightly lit, light blue walls, granite countertops, stainless steel appliances. 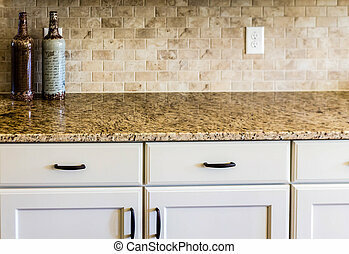 A bowl of lemons on the countertop. 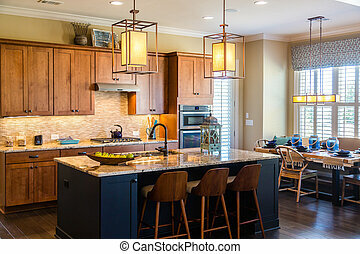 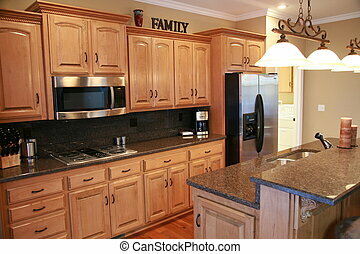 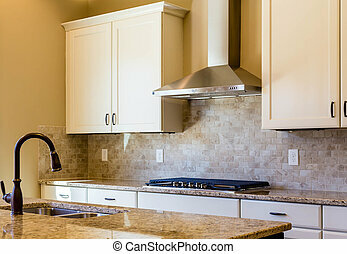 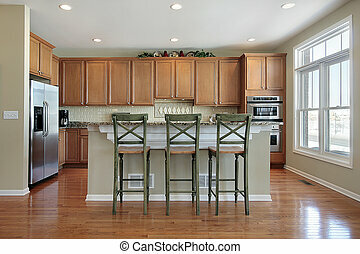 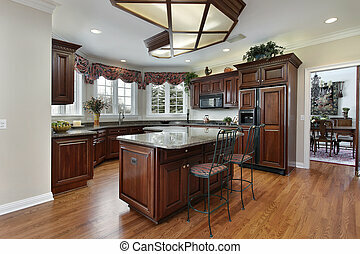 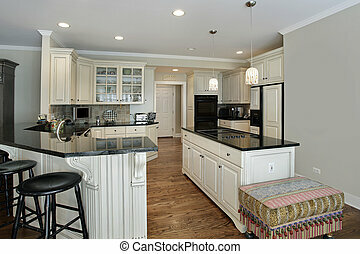 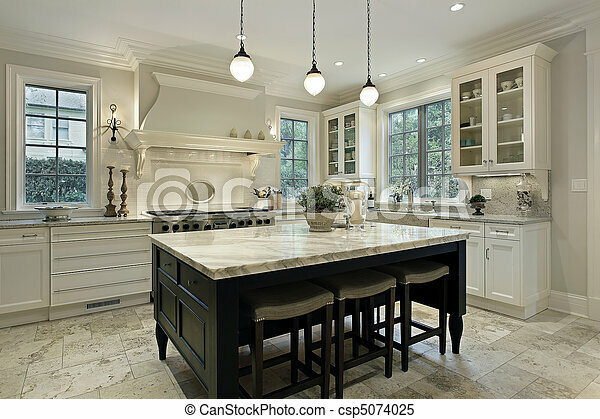 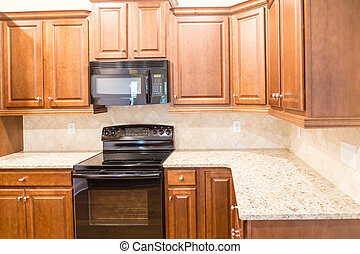 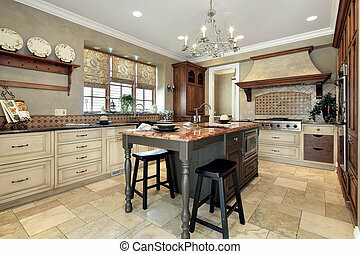 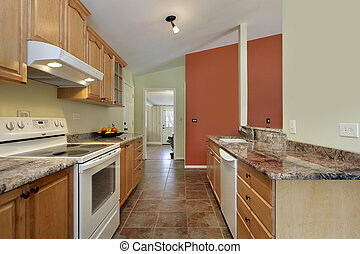 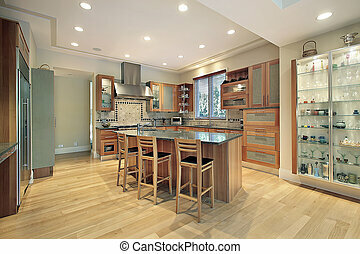 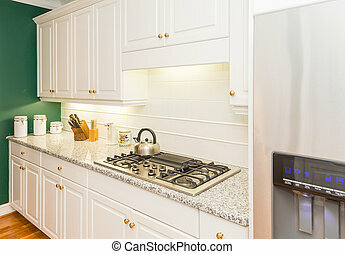 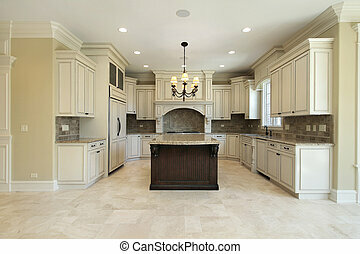 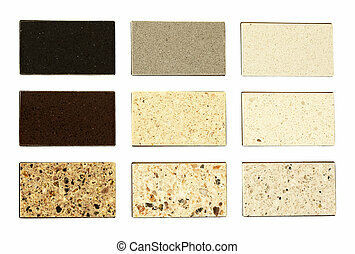 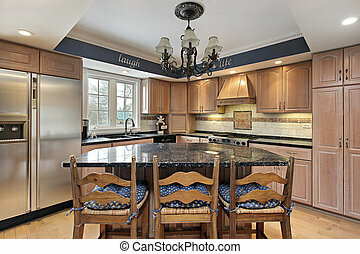 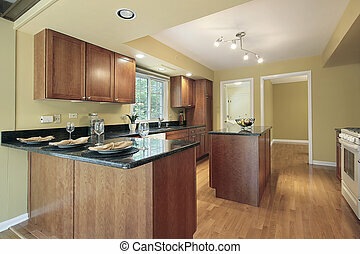 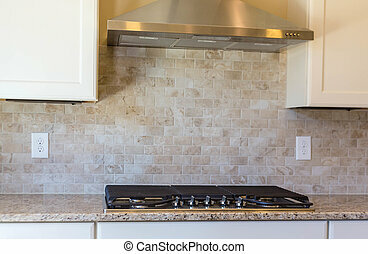 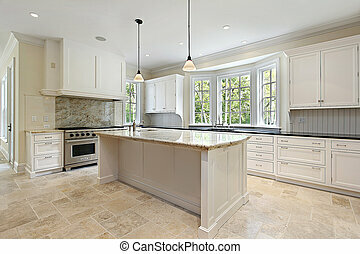 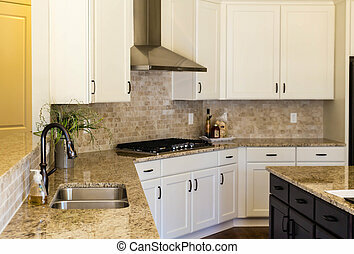 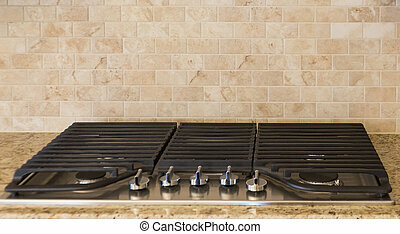 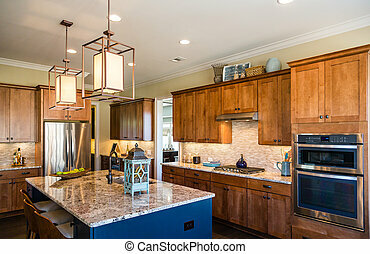 An image of a modern remodeled kitchen.